The six-year Labor/Green nightmare is finally over. 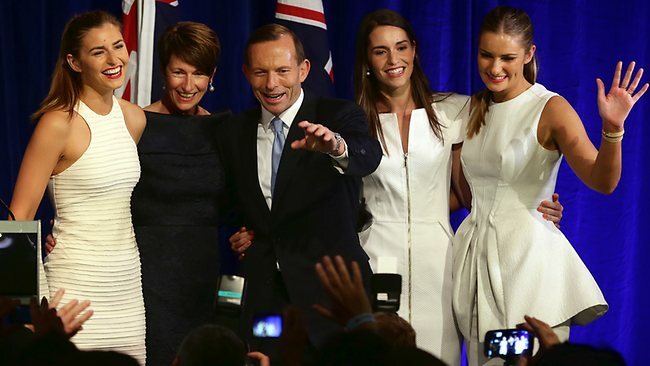 Tony Abbott is the nation’s new Prime Minister. Abbott gave a brief, dignified victory speech, promising to govern for all Australians, in stark contrast to Labor who only sought to entrench division and disunity. Rudd, on the other hand, rambled on for what seemed like an eternity in his concession speech, as if he himself was the victor – delusional to the last. Whilst Rudd will not contest the Labor leadership, he will remain in parliament as an ever-present threat of destabilisation. Labor’s nightmare has only just begun. UPDATE: James Delingpole – Go, Tony, go! “Labor’s nightmare has only just begun.”. May it last for generations. Labor’s vote slumped to its lowest level in 100 years and the Green’s vote was cut by more than a quarter. Evidence enough that pricing carbon dioxide and pretending the save the planet with feel good vibes just doesn’t work! Hmmm seems like change has begun… as per speculated in the attached interview on you tube. Don’t expect too many miracles overnight…. After more than 10 wasted years where labour were in power in the UK, their destructive nature permeated everything, and we’re still not recovered. Still, I raise a glass to Abbot, and may labour remain buried, forever, in their own socialist quagmire of despair. I never want to see those f’ken Rudds ever again, both KRudd and his ugly bag of a wife. And KRudd’s eat your heart out comment about his Liberal opponent in the seat of Griffith shows just what an ungracious **** he really is. Good riddance to cheap trash ! All we need to do now is persuade Tony Abbot to show Flannery and Steffen the door and install someone like Prof Rob Carter as his climate change advisor. Some common sense and science, not warmist religion.